Following on from my post Foundations – Which One, I decided to follow up with a post on Perfecting Your Foundation. Here I will take you through your skin tone, undertones, a quick recap on your skin type and which foundation formula works best. As I said before finding the right foundation is a mind blowing minefield to figure out and like most you have probably failed (I know I have) in the past, but do not worry that’s all about to change. There are a few questions that need asking when choosing the right foundation and your answers will enable you to find that perfect foundation. What is your skin type (oily, dry, combination or normal)? 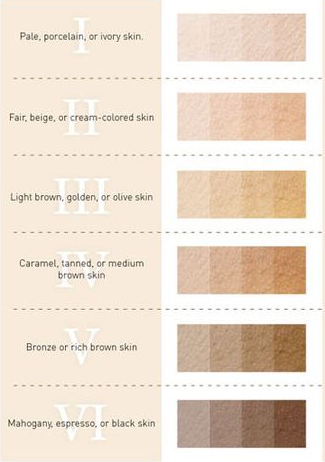 What is the undertone of your skin (olive, yellow, pink, golden, orange or warm brown)? What is the depth level of your skin (very pale porcelain right up to very deep ebony)? How much coverage do you want from your foundation (sheer, medium or full)? What type of finish do you want to your foundation to give your skin (matte, satin, dewy or luminous)? 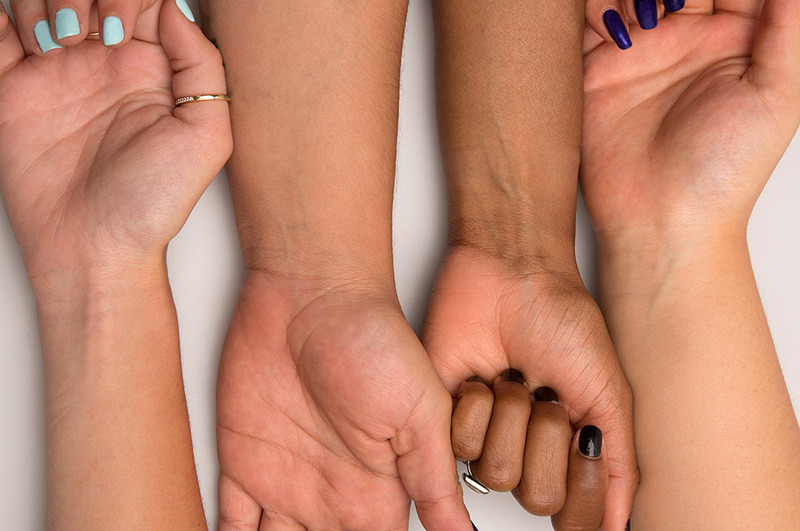 The first thing you need to know is there is a difference between skin tone and undertones. Your skin tone is the colour of your skin and a lot of people think that cool, warm and natural are skin tones, when in fact they are your undertones, the tone(s) within your skin. 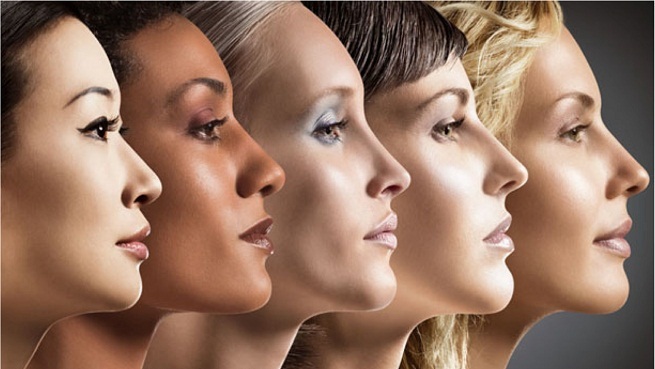 There are 7 different skin tones and depth levels, very light, light, light – medium, medium, medium – dark, dark and very dark. So to make things a little easier lets break these skin tones down into two categories, Ivory/Beige and Bronze/Ebony. The reason I’m suggesting this is, because there is one difference in the basic/standard stripe test for each category. So the strip test is the only way you can get an exact shade match for your foundation and yes it can be time consuming, embarrassing at cosmetics counters if you’re on the shy side but in the long run it is well worth it. Always conduct your strip test in natural light (this means leaving the cosmetic counters and going outside, time and time again until you find that perfect match). Try multiple shades or at least three at a time to find your match. The shade that matches your neck is the right shade. If you have ivory to beige skin tones, conduct your stripe test from your jaw down onto your neck. It’s the neck we want to match the shade to and this is because a lot of women with ivory/beige skin tend to have redness in their faces. Now we don’t want to apply foundation to your necks, only to your faces and the application stops at the jawline, that is why it’s so important to match to your neck. Apply three or more stripes of different foundation shades from your jaw to your neck, wait a few minutes to see if the oil in your skin changes the colour pigments and choose the shade that most closely matches your neck. If you have bronze to ebony skin tones, you should stripe test from the cheek to the jaw, but why not down on to the neck? This is a good question and the reason being, is some women with these skin tones not all but some have facial masking where the skin is lighter on the interior of the face and darker on the outer edges. The same principles apply to conduct a stripe test, just different areas. Apply three or more stripes of different foundation shades from your cheek to your jaw, wait a few minutes to see if the oils in your skin change the colour pigments and choose the shade that most closely matches your neck. If you do have any facial masking and find it hard to balance your foundation shade in both areas of the face. 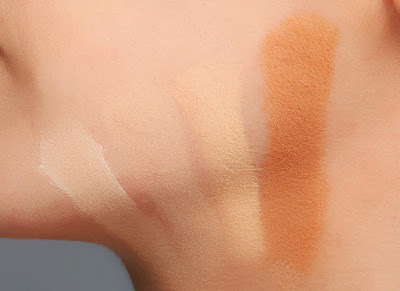 You could try applying two different shades of foundation, one lighter shade to brighten the outer areas and a slightly deeper shade to add depth to the lighter areas. Cool (skin undertone is pinkish, reddish or bluish). Warm (skin undertone is yellow, peach, gold). Neutral (has both cool and warm traits, olive). 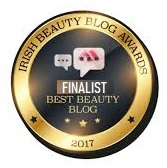 But when choosing the right foundation shade we have to look for colour first before in can categorise where we fall in to cool, warm or neutral. The best place to look at your undertones is the inside of your arm, here the skin is slightly paler from your face and more likely have less discoloration from sun damage and other irritants. If you have ivory/beige skin, you will have one of three basic undertones (olive, yellow or pink). Don’t worry if you can’t see your undertones just ask yourself “Do I tan easily?” if you answer “yes “then you have olive undertone. “I burn slightly first and then I get a tan”, then your undertone is yellow, if you answered “I always burn then you have pink undertones”. 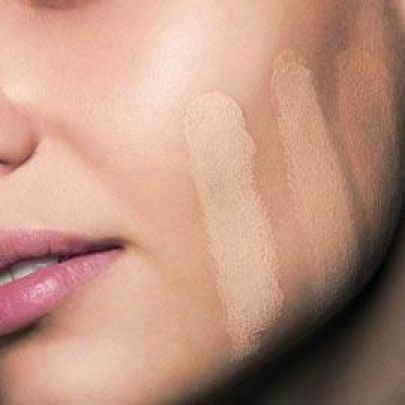 The majority of women with ivory/beige skin tone will have yellow undertones, so using a foundation with yellow or olive undertone will add colour and life to the skin as if you are not wearing any foundation at all. If you have pink undertones, you more than likely have pink on your neck as well; using a foundation with pink undertones will give a fresh youthful look. Word of caution if you think that by using a foundation with pink undertone (when you have yellow undertone) will add colour to your skin especially if you’re pale, I’m sorry but this will actually make you look ashy and old. Women with bronze/ebony skin should match the undertones in their skin exactly, because their undertones are so distinct and noticeable. The undertones can range all the way through from yellow to golden-orange to true brown. It not uncommon to also have multiple shades of skin on the face, so don’t be afraid to use multiple shades of foundation and by doing so you can really even out the skin. 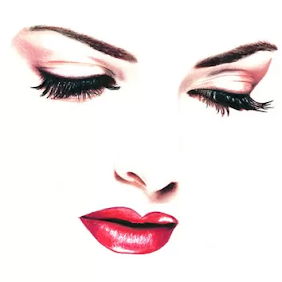 If you have very deep bronzed or ebony skin, you could try brightening your skin and what I mean by that, is to apply the correct foundation for your skin tone and use a foundation a shade or two lighter in depth to the centre of your face (forehead, under the eyes, top of the cheeks, nose, and chin). This will give a slight youthful glow, really waking up the skin. What is my depth level? The depth level of your skin is how light to dark it appears in natural light. The paler your skin is, the lighter its depth, so the darker the skin then deeper the depth level is. It’s not only important to know and match your skin tone and undertones but the depth levels too, as choosing a foundation that is either to light or too dark will not allow you to create that perfect canvas for the rest of your makeup. This is very important to know, as certain foundation formulas work best on certain skin. For example, dry skin needs a foundation with moisturizers or it will just look cakey and fine line will be more noticeable. Just like oily skin needs a foundation that will absorber excess oil. You can find your skin type by taking this quick simple quiz here and which foundation formulas works best here. This I'm afraid is a personal choice, do you feel comfortable with less coverage? Just remember the sheer the foundation, the more natural it will look, but is it giving you enough coverage to cover any flaws that you don't want seeing. Have a quick look back on Foundations – Which One to help guide you through which foundation will give you the most coverage. What type of finish do you want from your foundation ? There are four types of finishes you can achieve with your foundation, just remember some work better with certain skin types. Matte is a good choice for every type of skin from normal to oily with the exception of severely dry skin. Using a matte finish foundation on dry skin can make it even more drier and cakey yet alone making you look older and lifeless. It’s perfect if you have oily skin as it contains no oils and there would be no increase in shine. If you suffer from skin imperfections such as breakouts, scaring and discoloration this is the best finish for coverage, the more matte the skin is the more flawless it looks. Dewy works great on dry skin as if adds moisture and on all skin types except oily skin, where it can increase shine showing all flaws on the skin surface (lumps and bumps or blemishes). A dewy finish would not be the best choice for summer or in high humidity, as it can make the skin appear too shinny and greasy looking. A satin finish falls between a matte (flat) and a dewy (sheen), perfect for all skin types but not excessively oily. It gives a soft, smooth finish making the skin look young and fresh and is the most popular foundation finish. Luminous works well with all skin types. Its light reflecting properties help hide flaws and lines by reflecting light off the skin surface, helping to diminish imperfections. It gives a youthful, healthy glow but be careful of the finish if you have oily skin as it too like the satin make the skin look greasy and oily. Wow! that turned into one long post, hope I haven't bored you all to death and you find the information simple to understand. I will go through applying foundation and what tools to use and of course the mind blowing colour charting of warm, cool and natural undertones. If you have any question, just pop them in the comments below and I will do my very best to answer them correctly. This is a really useful guide - finding a good foundation can be tricky! !